Avizr offers a powerful, intuitive learning management system (LMS) to help you organize your online training courses. It allows you to create and customize your content with your own branding, and hosts the content for you. For more information on its capabilities, see the full list of Features. This integration enables you to sell your Avizr courses using ONTRAPORT's powerful ecommerce tools. You can use any Smart Form order form, an ONTRAform or an Order Form block in ONTRApages and have the transaction recorded in Avizr for immediate access by your customer. 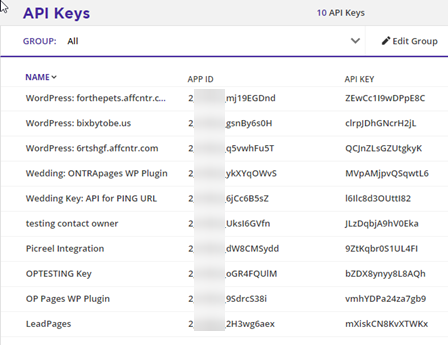 Name the API key so you can identify it as connecting to Avizr later, select the Contact Owner to use for this connection (the Administrator account is usually fine) and check off all the check boxes to allow full access. After clicking Save you will be returned to the API Key Listing page. Copy the API Key and APP ID you just created to a text file for use later in Avizr. 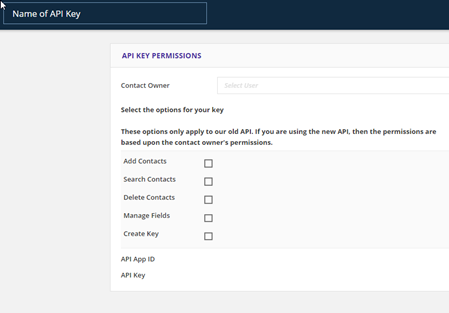 Paste the APP ID and API KEY created earlier into the dialog box and click Authorize Avizr. You can promote and sell your courses in ONTRAPORT and this integration will take care of registering your customers in Avizr. This portion of the article assumes you have ONTRAPORT Pro or above set up with a payment gateway and a course created in Avizr. In Avizr, click E-COMMERCE and ONTRAPORT. A listing of your courses should appear with a radio button to Enable E-Commerce. When you select Yes Avizr will generate a Smart Form - Custom URL. Copy that URL to the clipboard for use in your ONTRAPORT order form. Avizr will create a Product in ONTRAPORT for your course, but it will not have a price. 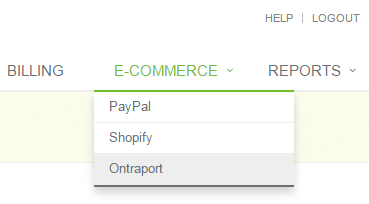 In ONTRAPORT, navigate to Sales > Product and click on the name of the newly created product. Add the price. This can also be overridden on the order form in the future, so don't worry if you are testing with a temporary price, etc. On your ONTRAPORT Order Form add the new product. For ONTRApages order forms, follow the instructions at number 8, at this link. For stand alone ONTRAforms, use the similar instructions at number 8 at this link. For legacy HTML Smart Forms, follow the instructions in this Knowledge Base article. No matter which type of order form you use, finish up by visiting the form's Settings tab and pasting the Smart Form - Custom URL from step 1 into the Single Opt-In - Custom URL field. Test the form to ensure you are registered for the course correctly. How this works: Avizr uses merge fields in the URL to pass the contact's ID number and the Product ID number. 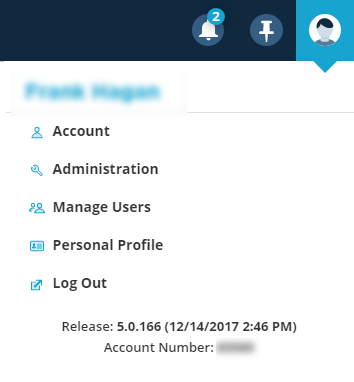 Avizr then populates the contact fields such as name, address, and email address in it's system by retrieving the information from ONTRAPORT. 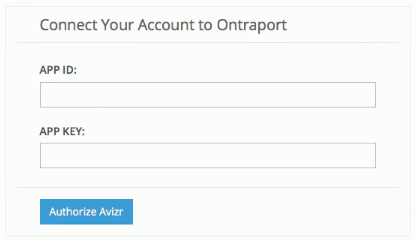 Integrating with Ontraport from Avizr.com on Vimeo.